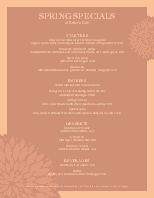 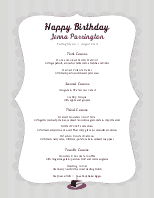 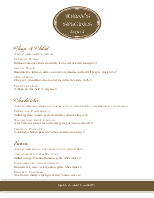 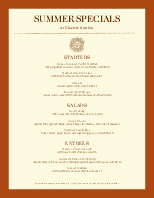 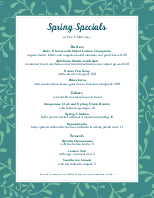 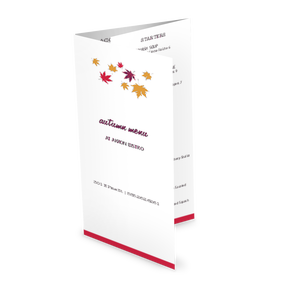 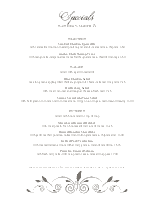 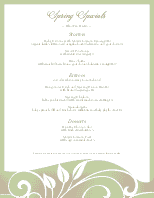 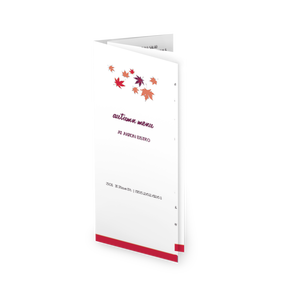 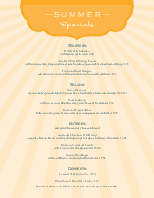 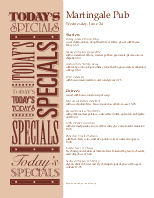 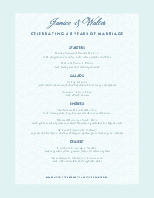 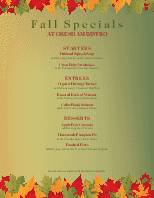 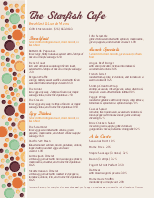 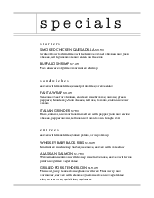 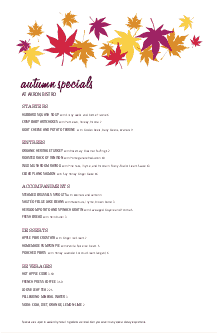 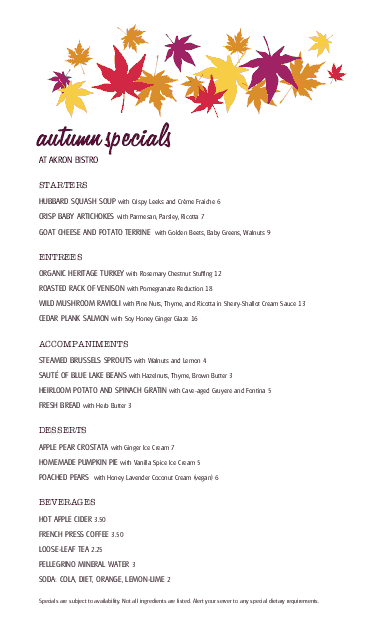 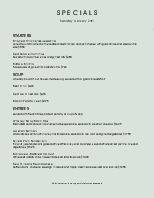 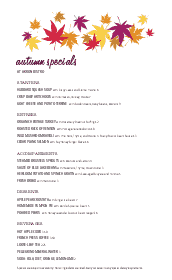 This Autumn Menu Specials template in letter size makes it easy for a restaurant to showcase seasonal fare. 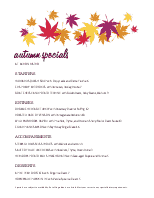 Colorful autumn leaves form a banner across the top, with the text "fall specials" in a special script font. 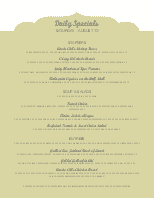 Customize with your restaurant's featured items using the online Menu Editor.